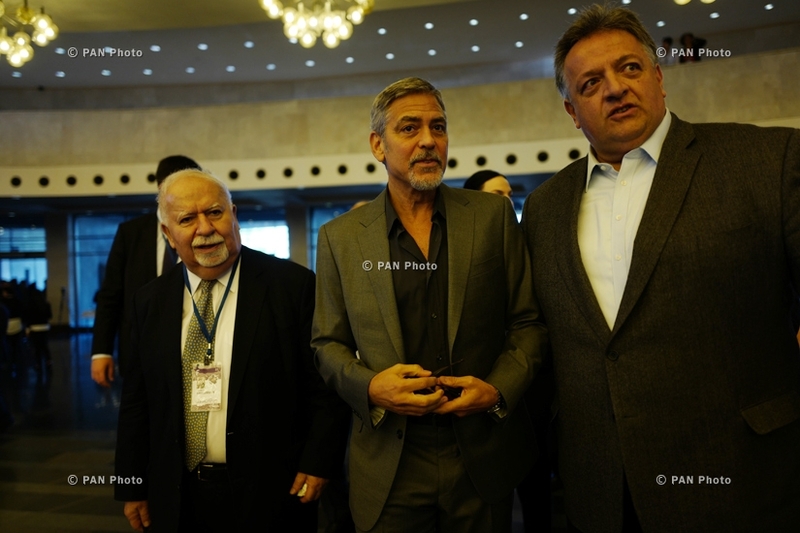 George was at a forum "Against the Crime of Genozide" in Yerewan today. 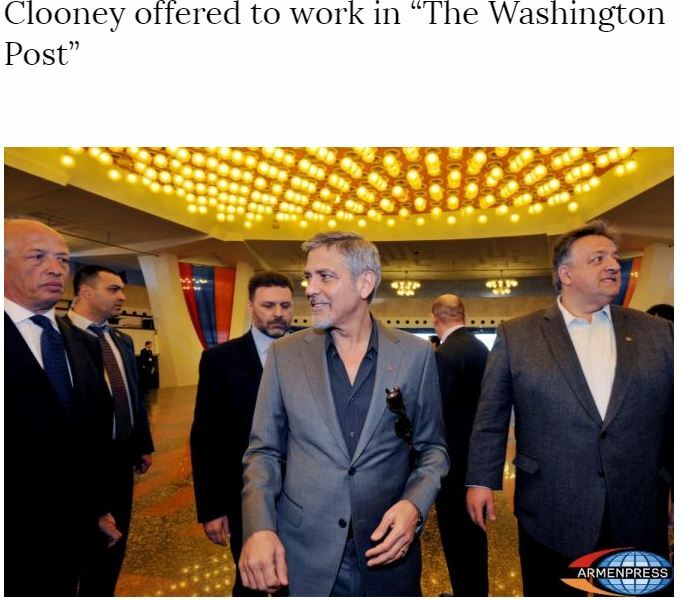 He would be thrilled at that! 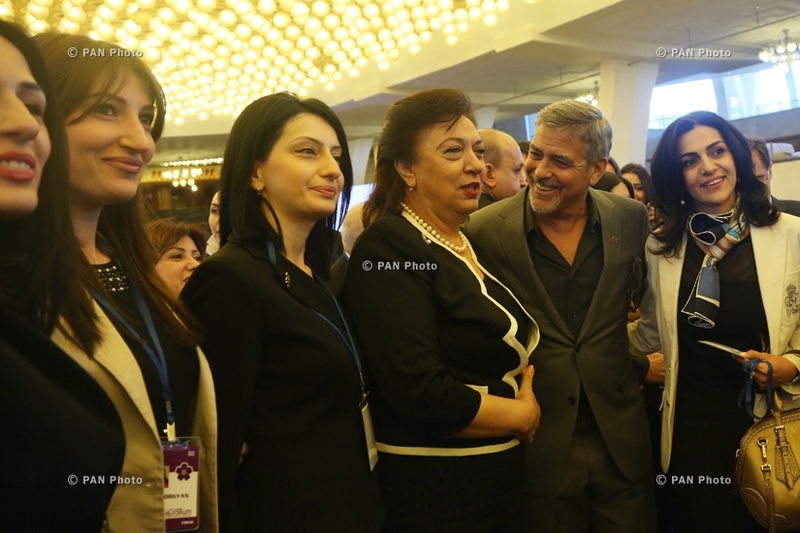 Thank you PAN. 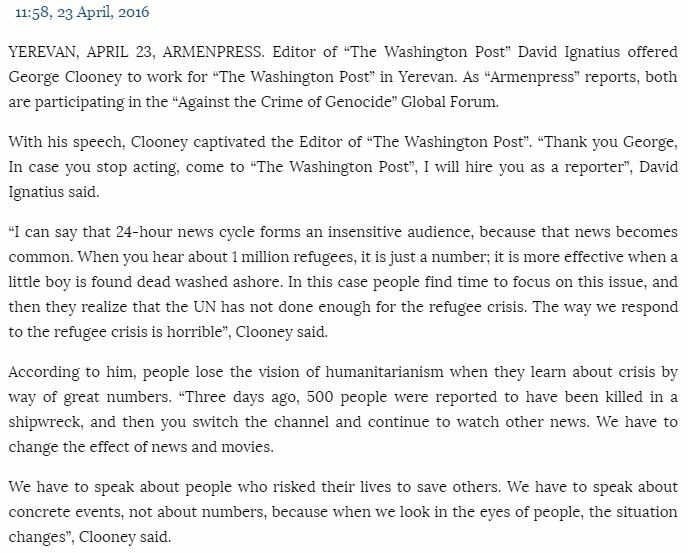 George's words were very powerful (to me) and clearly addresses what is wrong with our 24/7 media culture. 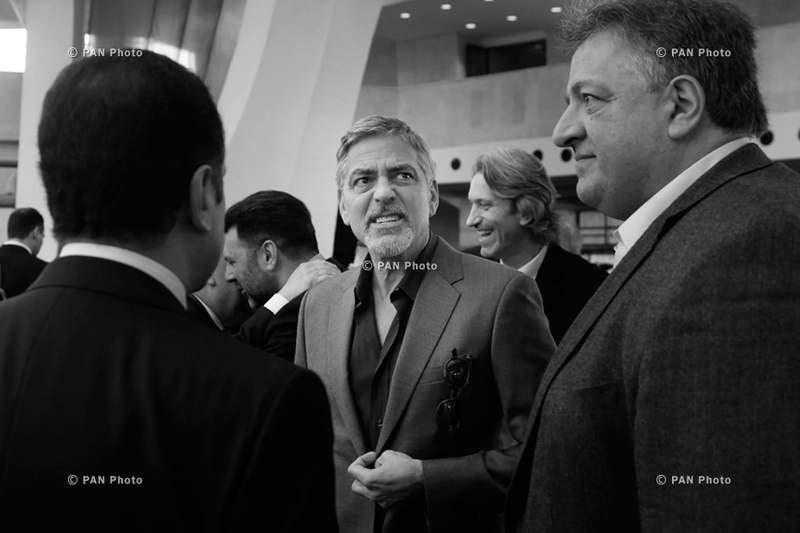 A flattering offer from David Ignatious. 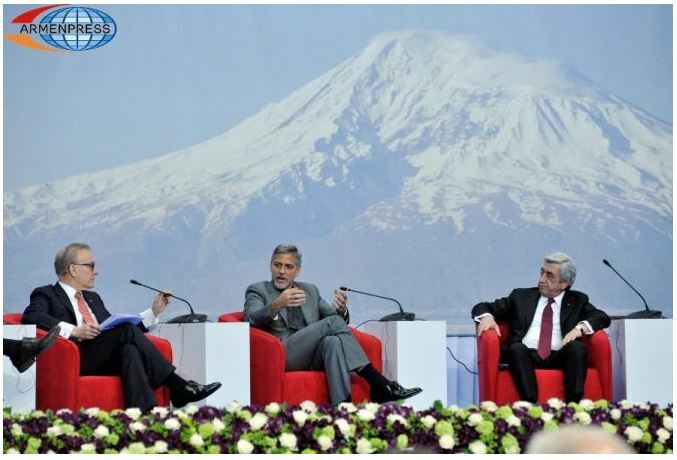 He is a journalist and a Washington Post opinion writer specializing in foreign policy issues and has authored several books. 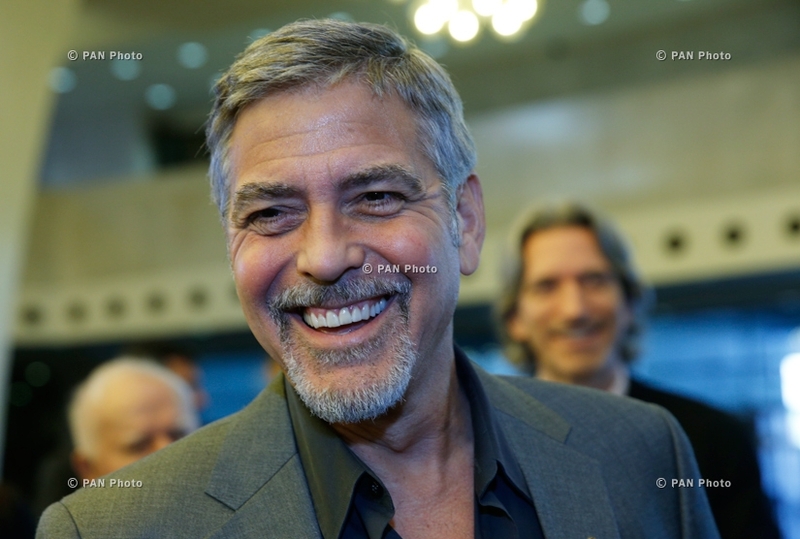 Sounds like my sort of bloke, Donnamarie! 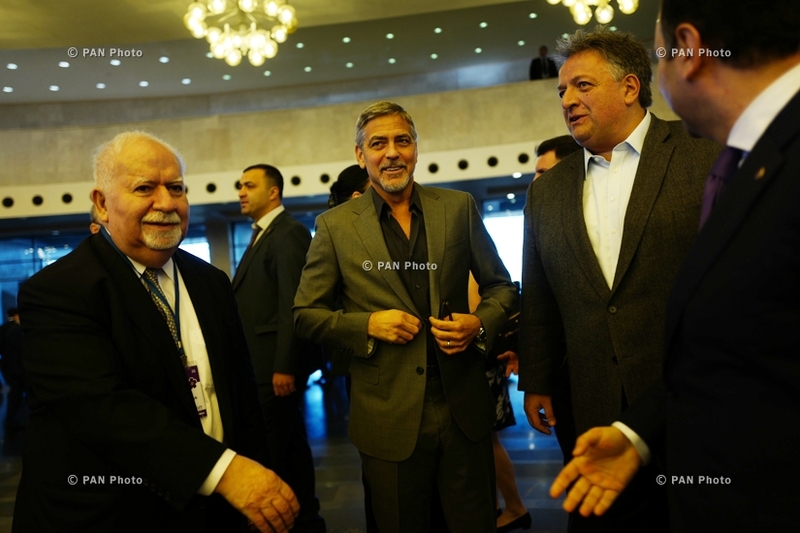 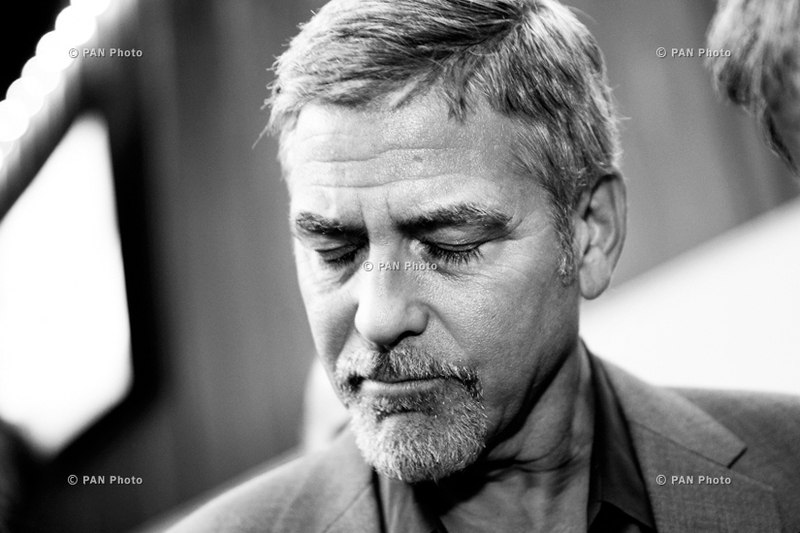 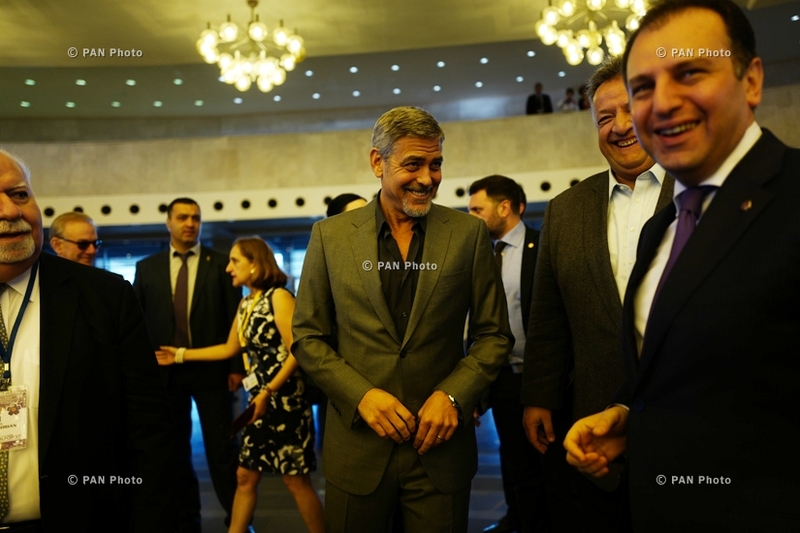 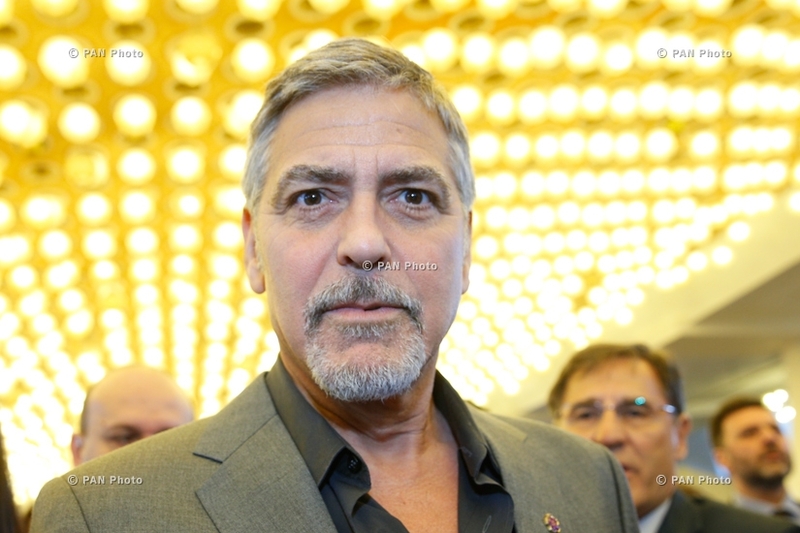 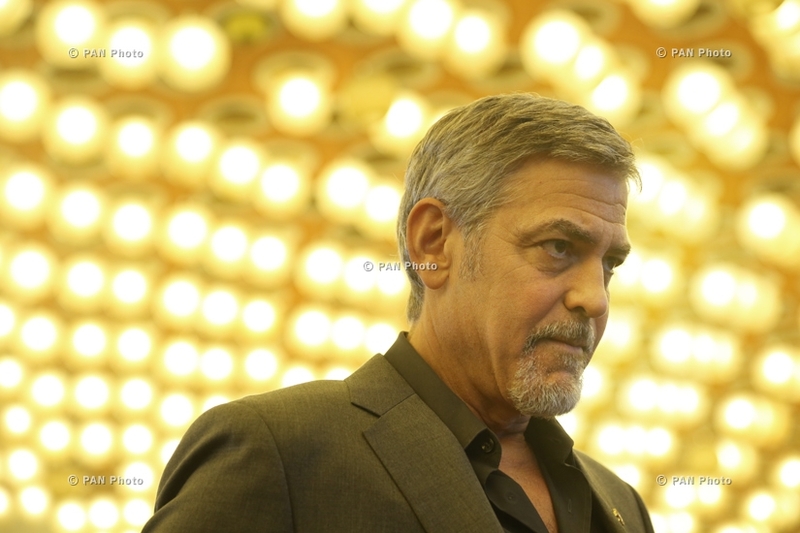 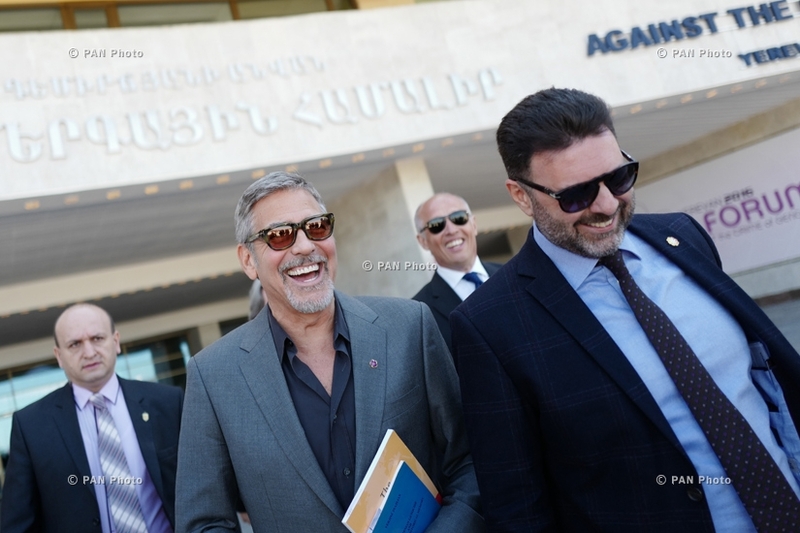 YEREVAN—The Armenian Genocide is not just part of Armenian history, it’s not the pain of a particular country or people, it’s part of world history, Academy Award-winning actor and humanitarian George Clooney said at the Second Global Forum against the crime of Genocide in Yerevan, reported Armradio. 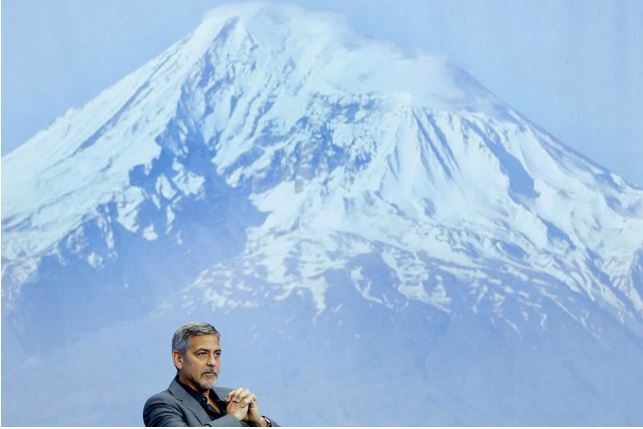 “After the Holocaust we always heard the ‘never again’ expression, however, it was followed by Rwanda, Cambodia, Bosnia, and Darfur genocides,” the actor was quoted as saying. 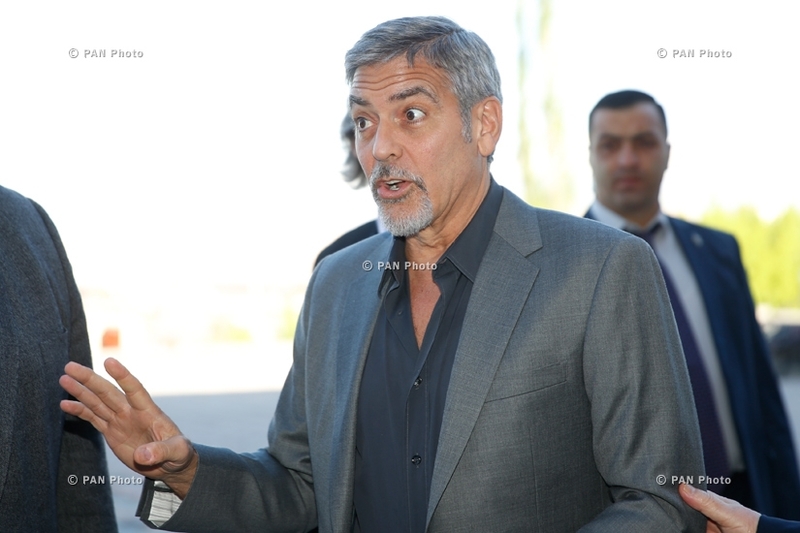 “What we are doing today has two objectives. 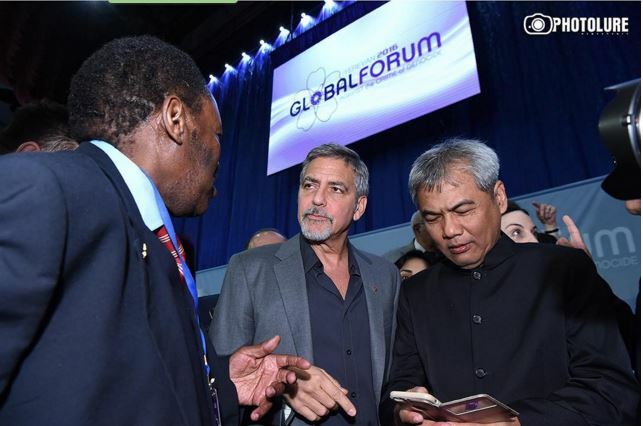 First, we have to look back into the past and remember that it’s not the pain of a particular country or people; it’s part of world history. 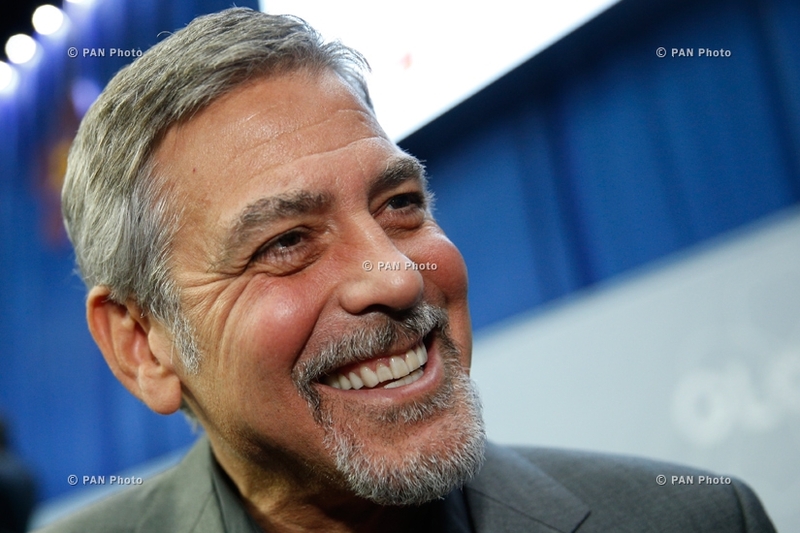 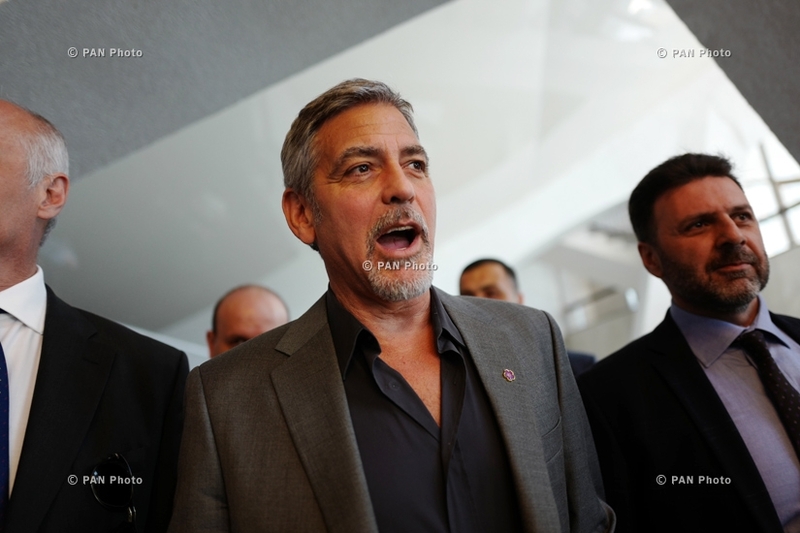 Second, we need to move forward,” Clooney added. 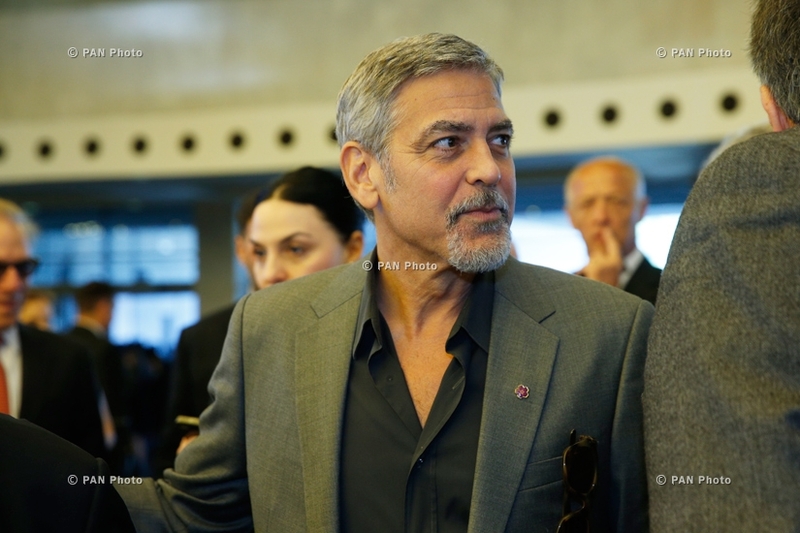 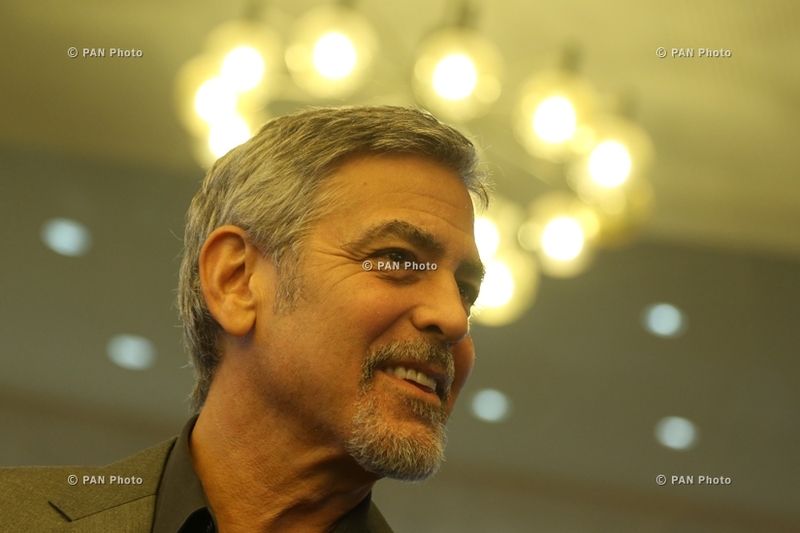 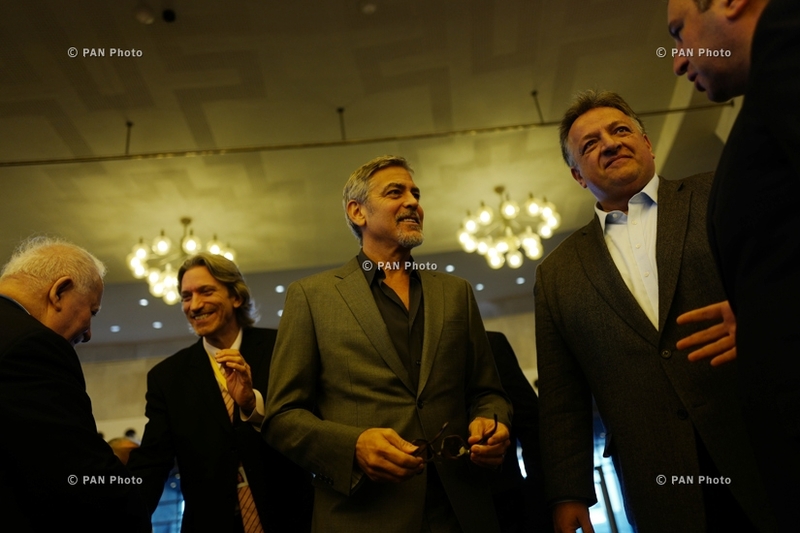 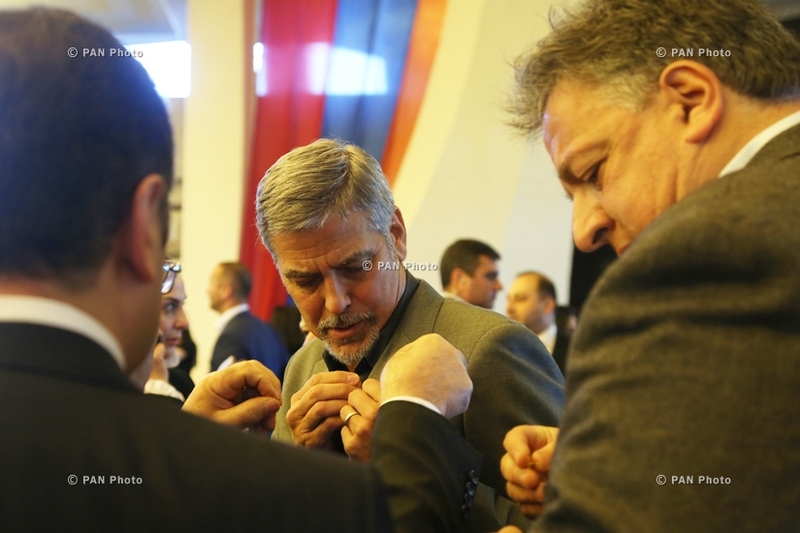 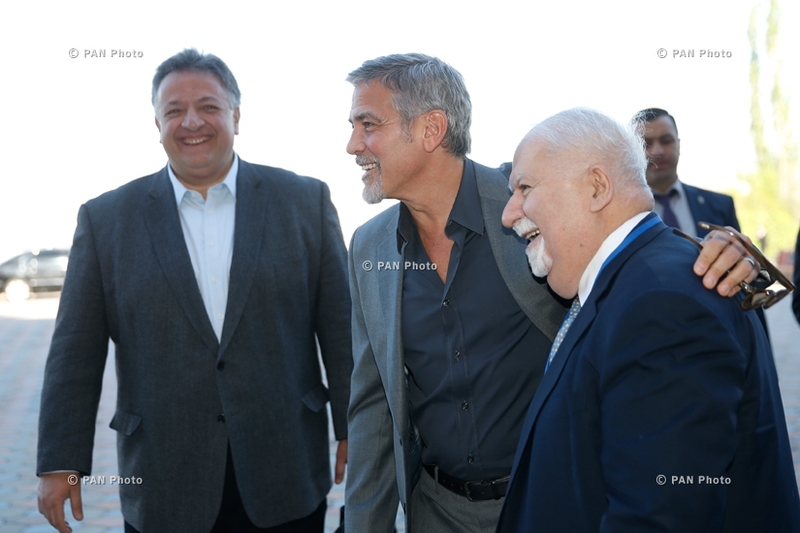 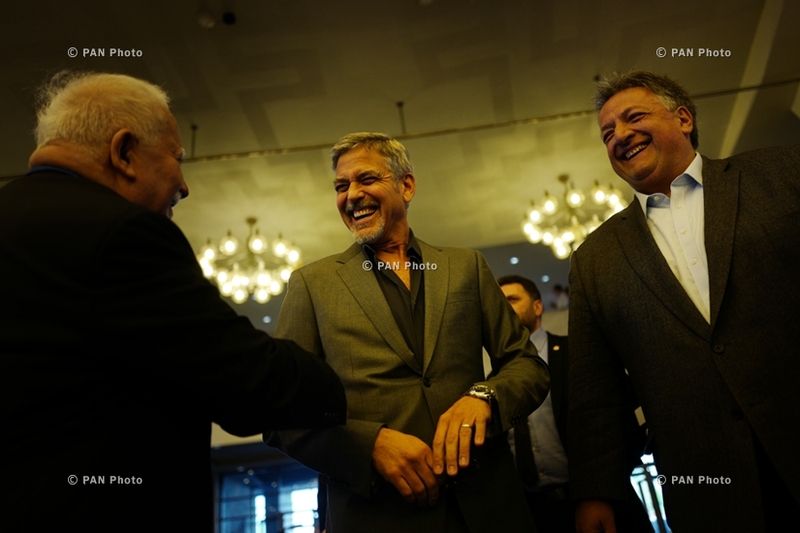 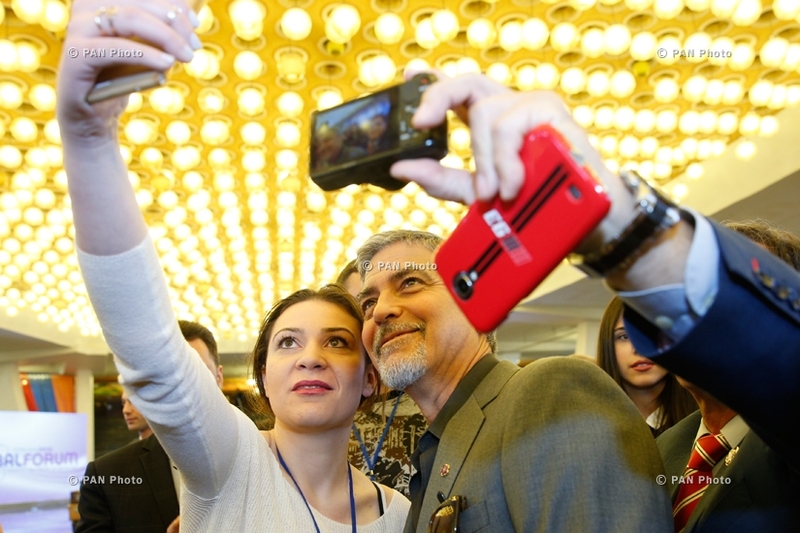 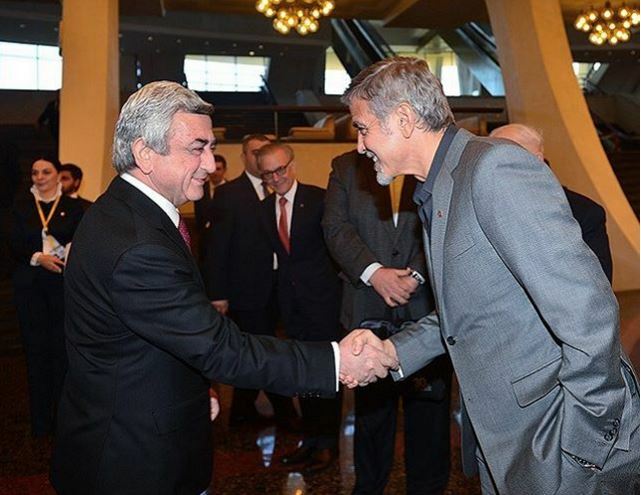 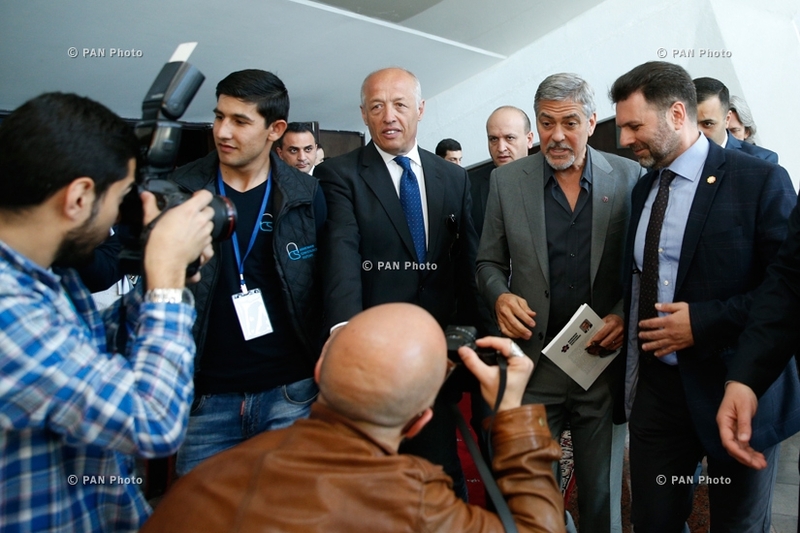 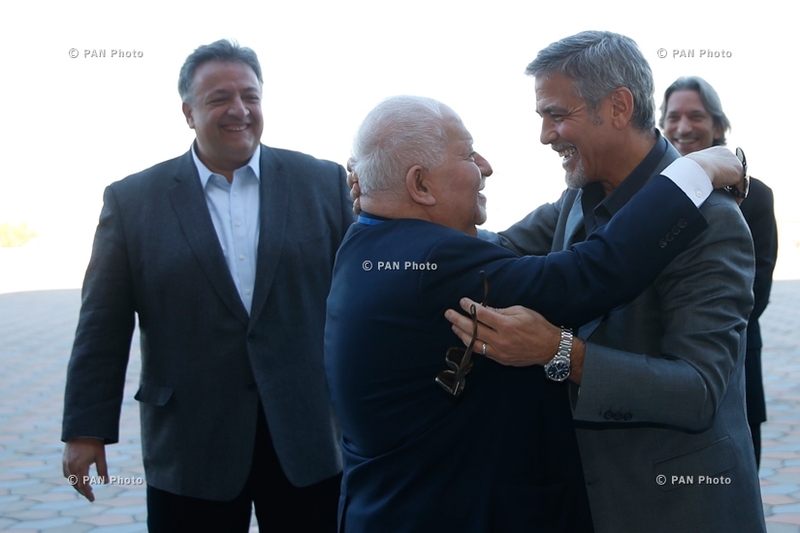 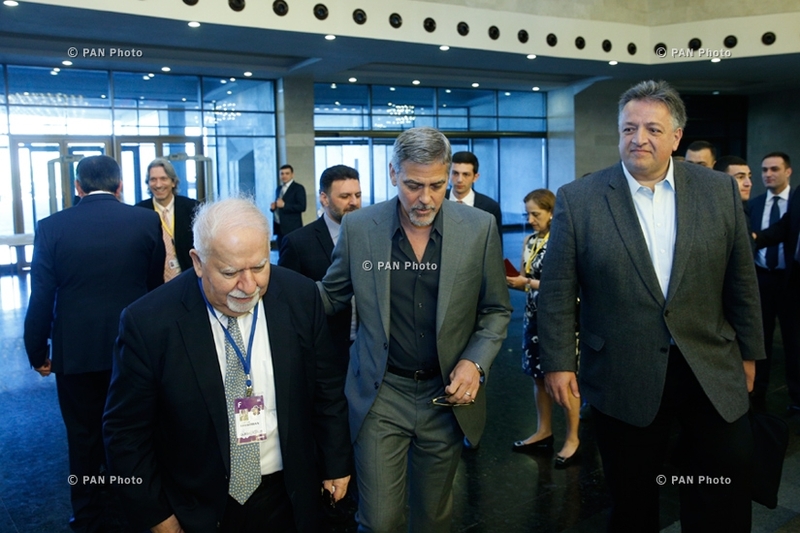 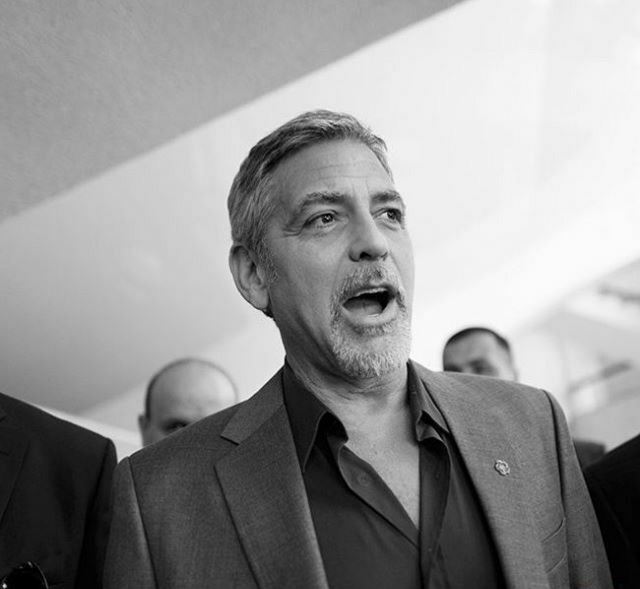 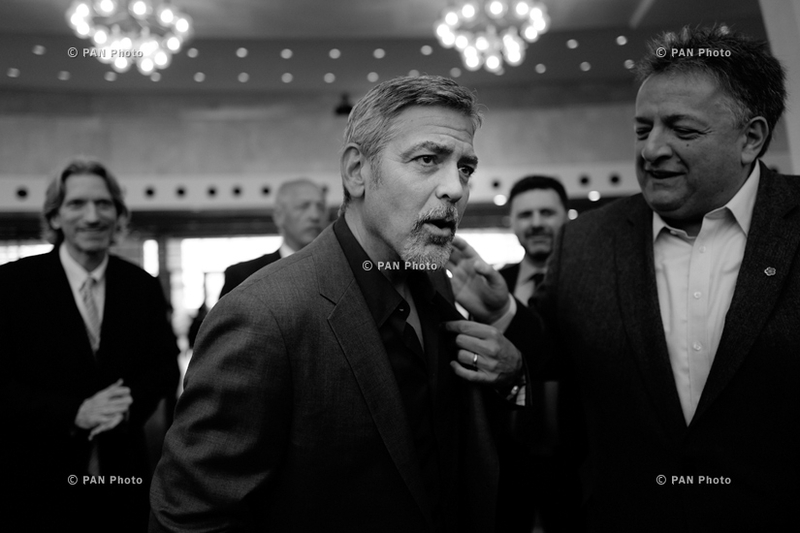 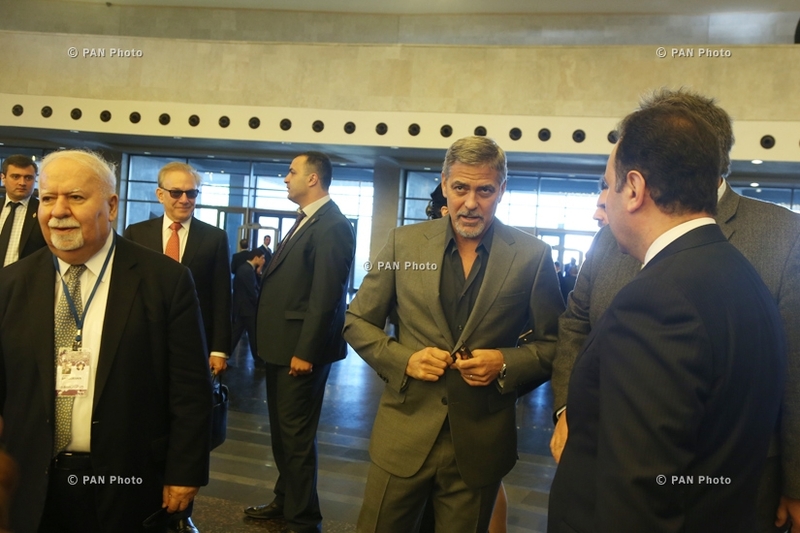 Clooney arrived in Armenia on April 22 to present the first Aurora Prize for Awakening Humanity, which recognizes individuals and organizations for the exceptional impact their actions have made on preserving human life and advancing humanitarian causes. 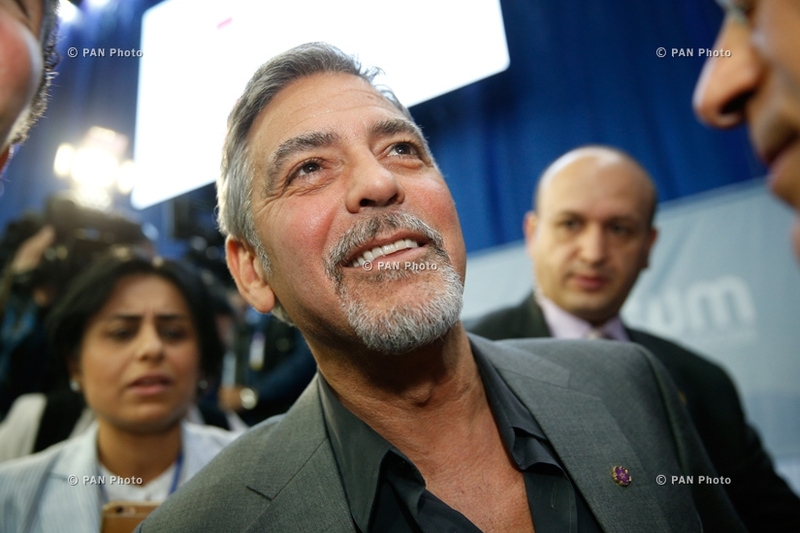 Clooney is a member of the Aurora Prize Selection Committee, which also includes Nobel Laureates Elie Wiesel, Oscar Arias, Shirin Ebadi and Leymah Gbowee; former President of Ireland Mary Robinson; human rights activist Hina Jilani; former Australian Foreign Minister and President Emeritus of the International Crisis Group Gareth Evans; and President of the Carnegie Corporation of New York Vartan Gregorian. 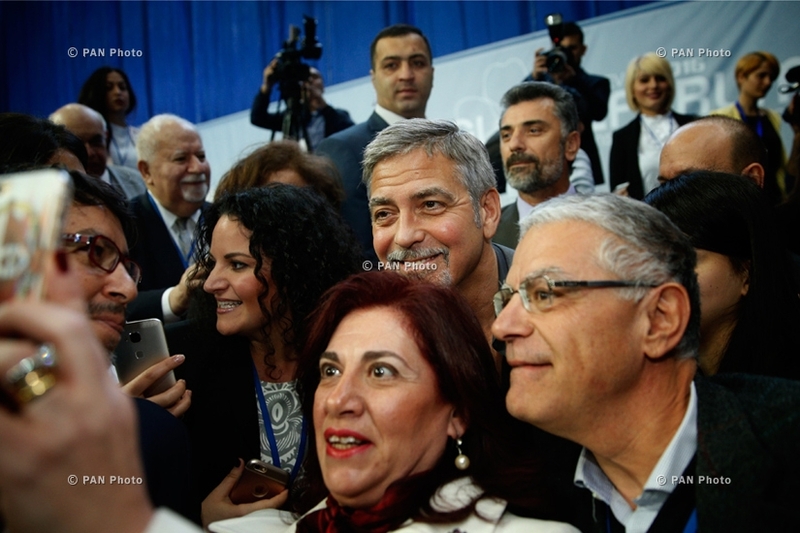 On behalf of the survivors of the Armenian Genocide and in gratitude to their saviors, an Aurora Prize Laureate will be honored each year with a U.S. $100,000 grant as well as the unique opportunity to continue the cycle of giving by nominating organizations that inspired their work for a U.S. $1,000,000 award. 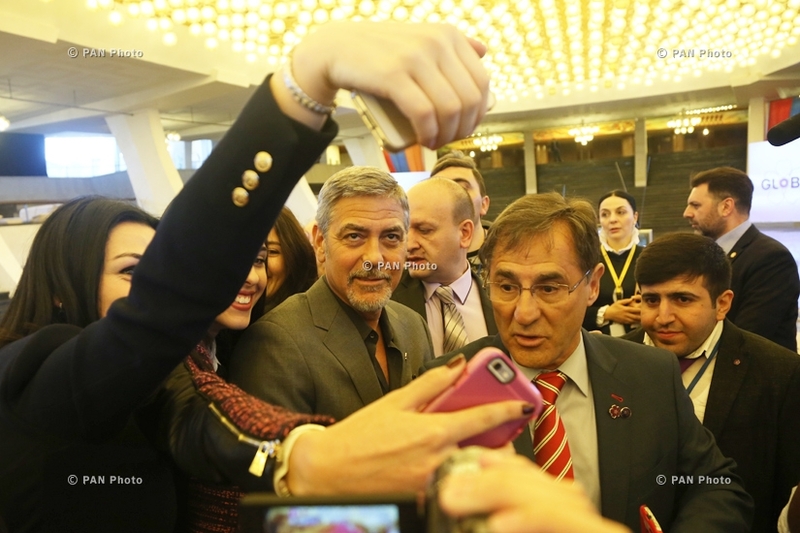 So charming, affable, and patient while he works the crowd.